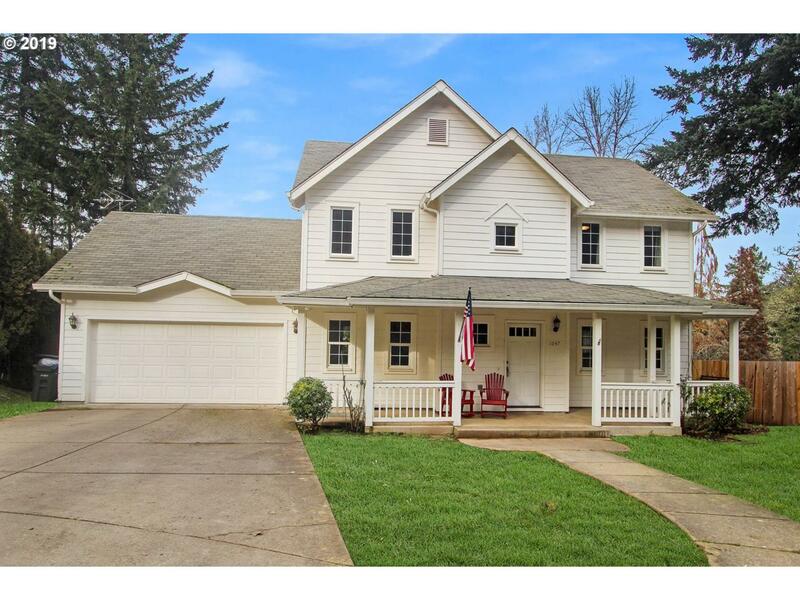 Come home to this beautiful farm house style home on a quiet cul-de-sac in wonderful Thurston neighborhood! This house is wonderfully laid out with 4 nice sized bedrooms upstairs plus a huge bonus room! Downstairs living, family & adorable dining room have bamboo floors. Kitchen updated with granite counters & stainless appliances including a 5 burner gas stove & tons of storage & eating bar with door to the private back yard & deck.